Leanda is an internationally known medium, clairvoyant, spiritual teacher and mentor providing both private and group sessions, public galleries and workshops. She is also the author of the book The Love of Spirit: My Journey Into Mediumship. 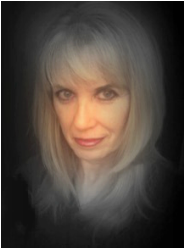 With over twenty-five years experience, Leanda has touched many souls and hearts through her work as a psychic, medium and healer whether in a personal sitting, public demonstration, or attending one of her exceptional workshops. Along with various special events she has appeared on CKCU’s Namaste Radio, 12Listen Radio, iHeart Radio and at the Body Mind & Spirit Expo, the Women's Fair and the Women’s Voices Festival. She has been a keynote speaker at the Edgar Cayce A.R.E. summer retreat and a tutor at the popular Seabeck Mediumship Retreat in WA. Leanda holds a Diploma of Professional Counselling, is a Reiki Master/Teacher, Angel Therapy Practitioner®, and has studied mediumship at the world-renowned Arthur Findlay College in England. She has studied with top mediums and healing practitioners from North America and Europe. She works with clientele around the world and is based in the Vancouver, Canada region. Leanda has been a sensitive since birth, but a "near-death" event at age 12 started her 're-awakening"' to her awareness of Spirit. A few years later Leanda began to consciously experience and acknowledge her strong connection to the spirit world. Passionate about her role as a messenger for spirit Leanda knows that the information that comes through to us intuitively, psychically, through spirit, angels, guides, is meant to provide us with hope, healing, inspiration, happiness and empowerment so we may live our lives to their fullest, now, knowing we have tremendous love and support from the great spirit world.